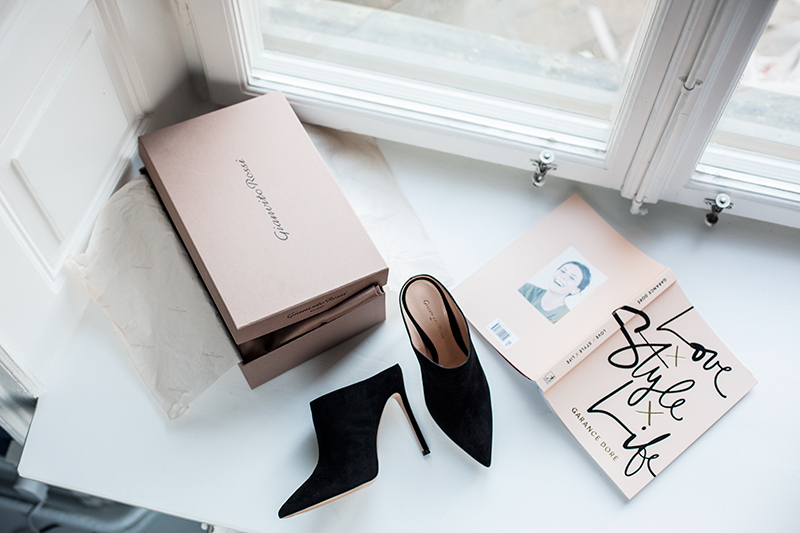 This entry was posted in Shopping and tagged Garance dore book, Gianvito Rossi by Carolina Engman. Bookmark the permalink. I absolutely love mules! Good choice! Pingback: Catch of the week - Shopping Fanatics! The heels look great! want to get the book so bad! The mules look very chic and elegant with its pointed toe design, gorgeous! Beautiful photo. I’m very curious about the book..
Did you already read the book? It’s so high on my wishlist! Stunning shoes, I would love to have them as well! I love those shoes!! Nice photos! These are stunning, I love them!! Love , but pricey even on sale …and most importantly …too high a heel! The perfect mules, love them! Oh my, these shoes are out of this world !! Great catch indeed ! These shoes is everything !!! Oh gosh love this mules! Absolutely gohgeous dahling… those SHOES! This book is definitely on my christmas wishlist!